Pre emergent weed control is an effective way to prevent weeds from appearing in your lawn. 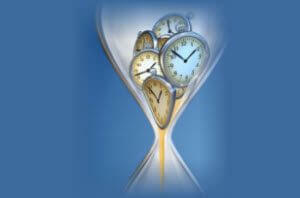 But your timing has to be right in order for these products to do their job. There is a narrow window of opportunity for pre emergent weed control products to wipe out the weed seeds and seedlings lurking in your grass. Here’s how to know if you waited too long to use the best pre emergent weed control products. Get down close to your lawn and take a good look around. Don’t be shy – get down on your hands and knees if you need to. If you spot crabgrass, dandelions, clover, or other weeds, then you’ve waited too long. Pre emergent weed control treatments are only effective against weeds up until the point where the plants have begun to germinate. Once the weed is sprouted and has established roots and leaves, your only option is to use weed control products that eliminate actual weed plants. Broadleaf weed control products can typically be used all summer long to eradicate unsightly weeds. It’s always a great idea to call in a professional to apply broadleaf weed control to prevent potentially damaging your lawn. Here in Atlanta, late spring is the usual cut-off point where pre emergent weed control becomes ineffective. But each lawn is different, so if you’ve done a good job so far in controlling your weeds, there may not be many weed seeds hiding under your grass. In that case, you might be one of the lucky few who have nothing to worry about this season. Many people don’t know the best weed control method is a thick and healthy lawn. Excellent turf will choke out weed seeds by preventing water and sunlight from reaching them. So if your grass is in really good condition, you may not have anything to worry about this year. The moral of this story is to stick to a smart watering, fertilizing, and aerating schedule to keep your grass thick and healthy. If you aren’t sure what to do about your weed control needs, your best bet is to call in a lawn care expert. A trained and experienced professional can take a look at your lawn, diagnose any problems, and recommend a treatment plan to get your turf in tip-top shape. They can also offer you tips about things you can do yourself to keep your lawn in good shape. It’s never too late to ask an expert what to do! 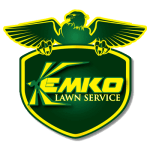 Kemko Lawn & Shrub serves happy homeowners all over the Atlanta area. We provide full service lawn care, from installation to improvements and maintenance, and everything in between. Call us at 770-466-6113 to schedule your pre emergent weed control treatment.